Unai Emery has defended Arsenal from criticism after none of their players were part of the latest England squad. The Gunners were the only one of the Premier League's top six not to have a player called up by Gareth Southgate for the Euro 2020 qualifying wins over the Czech Republic and Montenegro. The injured Danny Welbeck would likely have been involved had he been fit, but Emery admits it is not right for a club of Arsenal's stature not to provide more to the national team. However, he is confident there is plenty of young talent at the Emirates Stadium that will break into the senior Arsenal and England sides soon enough. "Danny would have been with the national team before his injury. But it is right that I think every team needs English players in it," he said. When pressed on whether Arsenal have young players who can make the grade for England in future, he replied: "Yes, of course we do. "We have players here who are now in the Under-18s, Under-19s, Under-20s and Under-21s with England. We have a lot of them with the possibility to grow up with us and be part of our future - and also to be with the national team." Welbeck's club future remains unclear, with reports suggesting the Gunners are unlikely to offer an extension to the contract that expires at the end of the season. For now, Emery is more concerned about the forward returning from his ankle injury for the final few games of the campaign. "He's progressing very well, he's working and starting to touch the ball, working on the pitch," Emery said. "His progress with a big injury is going very well. "It's difficult [for him] to play matches in this season but now he's progressing very well and maybe the doctor says he can train or play with us in the last weeks of the season." Arsenal resume their Premier League campaign at home to Newcastle United on Monday, with Manchester United's victory over Watford on Saturday having knocked them back into fifth place. 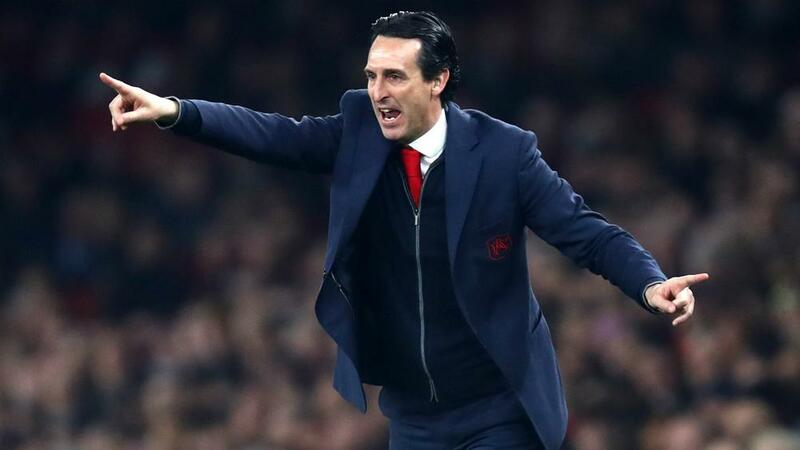 Emery believes his players have the quality to secure a top-four spot and a return to the Champions League, even though back-to-back losses to Manchester City and Chelsea at the start of the season had left him thinking otherwise. "We deserve to have this important moment in our own hands and to be optimistic about being in the top four," he said. "When we were last in the table after losing to Man City and Chelsea, I maybe didn't have these expectations. "Newcastle will be very difficult. We need another big performance."